Jed Hotchkiss became known as an accomplished topographic engineer and cartographer and is seen by many Civil War historians as a key figure in Jackson’s Valley Campaign. A collection of Hotchkiss maps are preserved at the Library of Congress’s Geography and Map Division. Click here to view the Library of Congress’s Hotchkiss Map Collection online. Item citation: From folder 243 of the Charles William Dabney papers #1412, Southern Historical Collection, The Wilson Library, University of North Carolina at Chapel Hill. 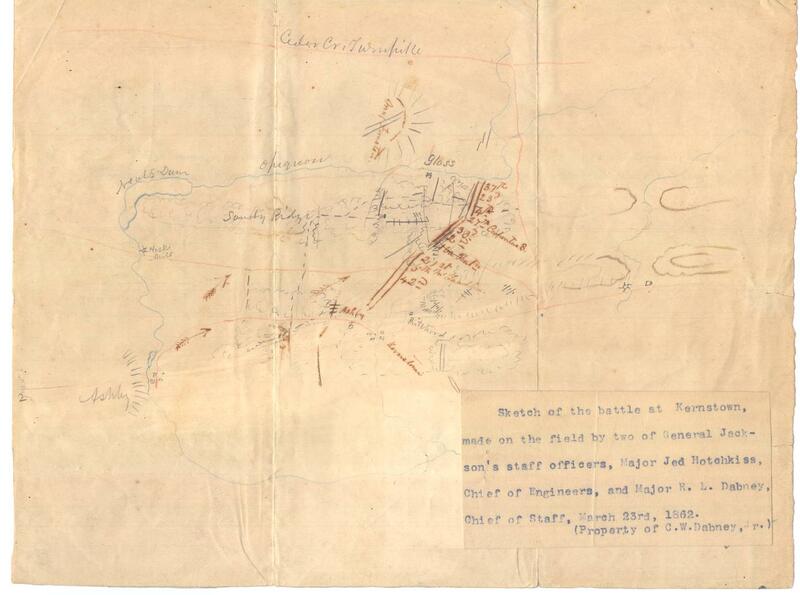 This entry was posted in Southern Historical Collection and tagged cartographers, cartography, First Battle of Bull Run, First Battle of Manassas, Gen. Thomas Jackson, hand-drawn maps, Jed Hotchkiss, Jedediah Hotchkiss, Kernstown, maps, R.L. Dabney, Shenandoah Valley Campaign, Stonewall Jackson, Valley Campaign, Virginia. Bookmark the permalink.